The Paradise Makeup AQ cake makeup is the makeup that thrust body painting into a new dimension with its wide selection of dynamic colours. Because it is water activated, the hues of the colours can be controlled by the artist. 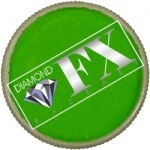 Professional Body Painters and Face Painters love the ease of application and the ability to fully control the depth of the colours. The larger 40 g size of Paradise Makeup AQ available here is great for professional applications or larger body painting and face painting events. 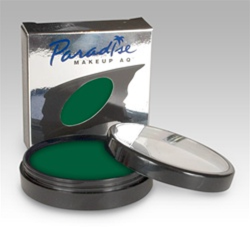 Mehron manufactures Paradise Makeup AQ with a colour consistency unsurpassed in the world of body makeup. Mehron Paradise only needs a small amount of water to activate. Moisten your sponge or brush with a little water and then work on the surface of the cake until sufficient paint is of a creamy texture to apply. Remove with soap and water only. If paint lingers try baby shampoo to remove.